Miha Restaurant is open daily for Breakfast, lunch and Dinner. Miha’s menu reflects a Pacific Rim flavour with a modern European twist, with menus changing seasonally. Our Head Chef brings a wealth of international culinary experience, innovation and flair and uses the freshest and highest quality produce. Miha also boasts a comprehensive wine list and friendly, experienced wait staff. 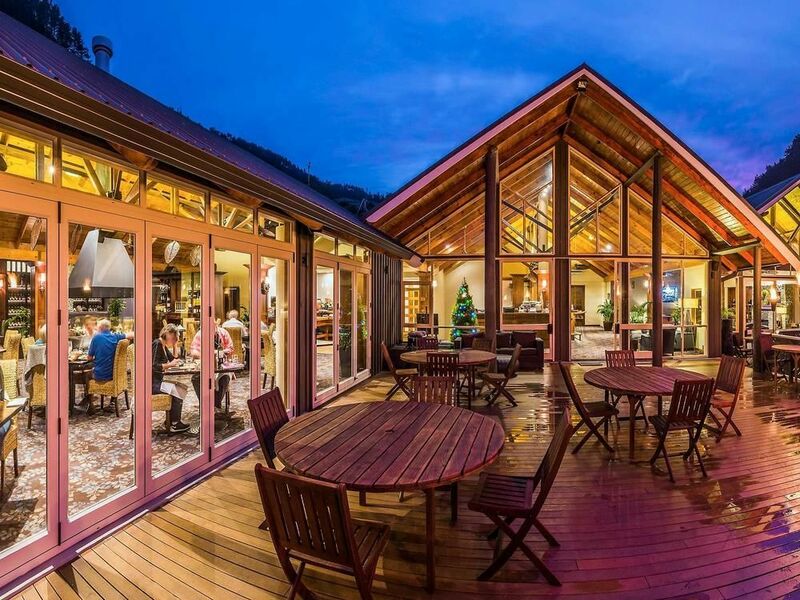 Enjoy a cocktail at the bar before or after your meal, unwind on the sun-soaked deck or relax on the large couches in the lounge, with the warmth of a roaring log fire in the winter months. We had a very nice evening and the weather did its very best to show off the place in its glory. Great venue and very nice staff. Excellent service for a large group! Food was delicious. Service was absolutely terrible. Only one waitress and one person in the kitchen. Meals all came at different times, coffees were cold when we finally got them. Very disappointed and sad to see Puka slipping downhill! Very courteous and attentive waitress. Loved timing of food. Real treat and our guests loved the experience. 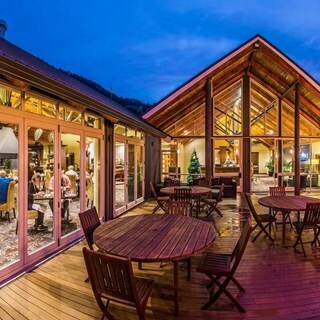 This was our first visit to Mercure Puka Park and the restaurant. We were lucky enough to be staying the night so  were able to have dinner and breakfast. Dinner had to have been one of the nicest meals I have eaten. The flavours were amazing. We will definitely be back and will be recommending the restaurant to our friends. We thoroughly enjoyed the breakfast presentation as well. Highly recommend staying here, the staff were amazing and the resort is beautiful, will definitely stay again. A great place to dine, set in an awesome spot. Very friendly service and top notch food. Friendly staff, great meal and fast service. The waiters/waitresses were very friendly and helpful and the food was great, making it a pleasurable dining experience. Chef Bhimsen was excellent and went out of his way to cater for our requirements. the chef, food produce and wait staff were all exemplary. the hot plates were appreciated for slow consumption. Helena is a real asset to you team. Great restaurant with friendly and professional staff. A Lovely dinner and breakfast, the waitress was helpful and had a great sense of humour. Monday nights at Puka Park had become something of an icon for locals as a meeting opportunity and good value for money. This has slipped down  in food quality and variety for each theme. Price has increased but quality has not followed. Perhaps time to re-focus on what the objective should be? Dinner was very delish and breakfast was lovely as well!! The staff were very friendly!! Really enjoyed the restaurant and the resort and had a relaxing weekend. Was a beautiful dinner, very tasty, I had the duck and my husband had the fish. Lovely.